Bass amps weigh a lot. You can't get around that. And if you've ever had to lug a heavy bass rig to practices and back, you know it's not the way to go. Unless you had a bargain basement discount at the chiropractor or something. Whatever. Anyway, what makes the MAX 110 so great is that it's perfect for practicing bassists or anyone just starting out. 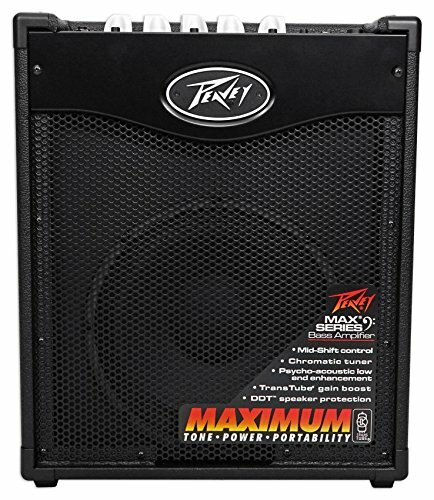 You get 100 watts of punchy Peavey bass tone that fits right into the mix with the band... but you only have to carry 35 lbs.